The Wexler Gault Group is among the top sellers of real estate in the city of Chicago and the North Shore. Beth Wexler and Joey Gault have been business partners in the residential brokerage industry for over fifteen years. They share the same vision of bringing the utmost care and integrity to every client’s transactions. They pride themselves on their overall real estate knowledge, experience and successful track record. Since entering the real estate business, they have consistently ranked among the top 1% of realtors in the Chicago area. Year after year, their combined sales have totaled well over $450 million. Since 2013, they have been the #1 team in the @properties Highland Park office. Beth Wexler’s love of real estate began by learning the basics when she teamed up with her father in their family owned real estate company. Along with her father and their team, Beth learned to purchase, rehab and manage buildings while entering the residential brokerage business as well. Beth’s dynamic approach to real estate has included working with top Chicago developers selling new construction condominiums, lofts, town homes and single family residences. Beth now spends her time representing individual buyers and sellers in the city as well as the North Shore. Working almost entirely from referrals, Beth has built a following that uniformly commends her for confidently and effortlessly ushering her clients through the process of purchasing or selling their most important investment – their home. Beth’s energy and enthusiasm for her job is evident as she treats each client as the most important client and constantly keeps them in the loop during every step of the process until the deal has reached completion. Beth graduated from Boston University with a degree in advertising and marketing. Joey Gault’s career started in Chicago city as well and has extensive knowledge of the city and its surrounding neighborhoods. Real estate runs in her family as well, as both her mother and sister were successful realtors. Joey is dedicated, hard working and truly passionate about her business. Joey’s patience and focus on her client’s needs is what sets her apart. She always strives to go above and beyond in order to insure that her clients’ expectations are exceeded throughout the home buying and selling process. Joey prides herself on treating each transaction as if it were her own. Joey worked at Mesirow Financial prior to entering the real estate industry, working on a team managing assets of high net worth individuals. Joey has applied these financial skills when structuring and negotiating real estate transactions on behalf of her clients. Joey graduated from Columbia College with a degree in Liberal Arts. Beth and her family reside in Highland Park and Joey and her family reside in Deerfield. Since moving out to the suburbs, they have been able to grow their business on the North Shore as well. Having the knowledge and expertise of both the city and North Shore communities, allows them to educate their clients on the most current real estate trends and market information. The Group offers their clients extensive market knowledge and the benefit of multiple brokers working on their client’s business. When you hire us, you hire our team. Whether buying or selling, we will all be involved from beginning to end. By hiring more than one agent, someone will always be available to answer questions, show your property or help you find your dream home. With the combination of our teams skills, experience and market expertise we are confident we will exceed your expectations. Beth and Joey are thrilled to have designated team experts in both the City and North Shore. Our City group members include: Chantel Asner and Joie DeGraff. North Shore group members include: Liz Salinas, Elise Dayan, Scott Glazer, Jen Golding, Irene Mester and Lauren Rabin. 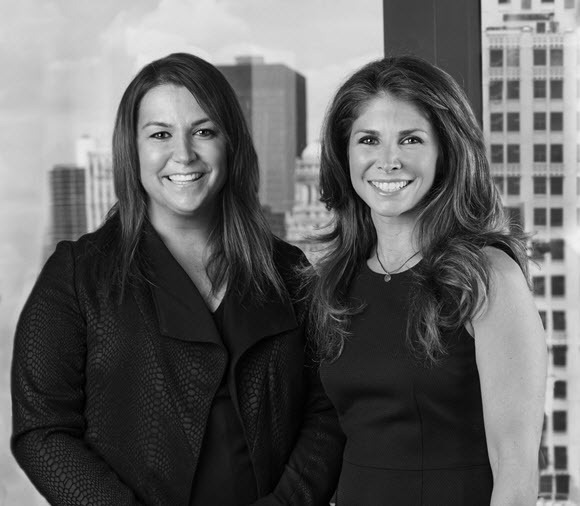 Each dedicated team member has their own individual areas of expertise and shares the group’s vision to bring unparalleled client service throughout the entire real estate process.The Wexler Gault Group is among the top sellers of real estate in the city of Chicago and the North Shore. Beth Wexler and Joey Gault have been business partners in the residential brokerage industry for over fifteen years. They share the same vision of bringing the utmost care and integrity to every client’s transactions. They pride themselves on their overall real estate knowledge, experience and successful track record. Since entering the real estate business, they have consistently ranked among the top 1% of realtors in the Chicago area. Year after year, their combined sales have totaled well over $450 million. Since 2013, they have been the #1 team in the @properties Highland Park office.